“An asset impairment assessment was performed during the period and in view of the mounting global trade uncertainties and behavioral changes in multinational corporations caused by the current trade tensions …, the group has recognized non-cash impairment losses of HK$12.29 billion,” HPHT said. Impairment of goodwill was HK$11.36 billion, while impairment of an investment in a joint venture was HK$930 million, HPHT said. Excluding the impairment, net profit for the quarter was HK$182.8 million, down 23.1 percent on-year, it said. Revenue and other income for the quarter ended 31 December rose 5.0 percent on-year to HK$3.00 billion, it said in a filing to SGX after the market close on Tuesday. 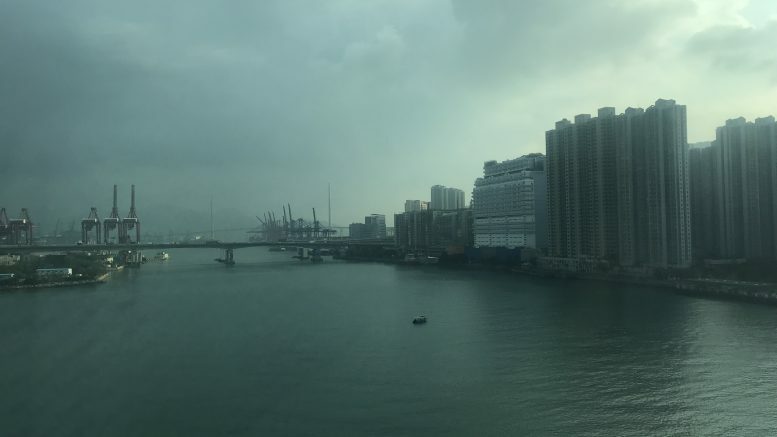 Combined container throughput for Hong Kong operations at HIT, Cosco-HIT and ACT fell 2.2 percent on-year in the quarter, mainly on lower intra-Asia and transshipment cargos, HPHT said. But Yantian International Container Terminals in Shenzhen saw container throughput rise 10.9 percent on-year in the quarter, mainly on increased U.S., empty and transshipment cargoes, it said. “The surge in the U.S. cargoes was driven by the frontloading of cargoes in anticipation of the 25 percent tariff implementation originally scheduled in January 2019 by the U.S. to Chinese exports,” HPHT said. Tax for the quarter was HK$117.5 million, swinging from a year-ago credit of HK$51.7 million, mainly on higher profit and a year-earlier tax credit, it said. For the full year, HPHT reported a net loss of HK$11.55 billion, swinging from a year-ago net profit of HK$944.2 million, on revenue of HK$11.55 billion, down 0.6 percent on-year. It declared a distribution of 8.48 Hong Kong cents per unit, down form 11.10 Hong Kong cents in the year-ago period. In its outlook, HPHT said that forecasts of slower international trade this year and further structural changes to container shipping lines have made forecasting cargo volumes challenging. That meant it would focus on cost discipline and efficiency improvements to protect the business from any cargo downturn, it said. It also pointed to concerns over whether the U.S.-China trade talks will result in normalization of relations. “Regardless of the outcome of the negotiations, there is a risk that long established supply chains in southern China will be altered over time to the detriment of HPH Trust,” it said.